Saenchai is fighting Bobo Sacko in the main event of the Thai Fight muaythai promotion on April 8 in Paris, France. The four weight division champion of Lumpinee Stadium, Saenchai (303-52-3) returns to action. Famed character is riding the 26-fight winning streak. His most recent bout was against Brazilian Julio Lobo last December in Thailand. He then took a pause and traveled throughout the United States with the Yokkao Seminar tour. In addition, last month Thai muaythai star appeared on the CNN Money program. The time has come to again step inside the boxing ring. In the next contest Saenchai is fighting in France. He squares off with the Frenchman Bob Sacko (53-5). The latter fought the numerous known athletes, including Fabio Pinca, Yodwicha Por Boonsit and Allan Gozdzicki. 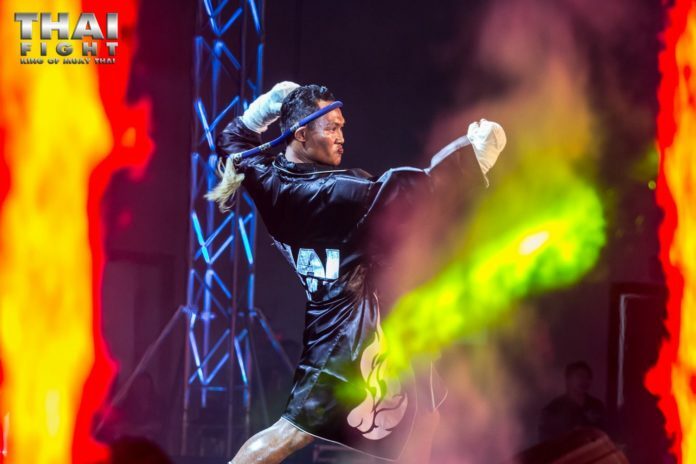 Moreover, in 2015 Sacko has earned the victory against the current first string of muaythai in France, Jimmy Vienot. Thai Fight Paris is a ten-fight program. Two other eminent Thai fighters compete on the night. Sudsakorn Sor Klinmee is taking on “The Magician” Johane Beausejour. Saiyok Pumpanmuang is facing off Raphael Llodra. In addition Super-X Por. Petchnamchai is fighting Hamza Ngoto. Youssef Boughanem is going up against Gaetan Dambo. Iquezang Kor Rungthanakeat is battling out against Yohann Drai. Also on the card Antoine Pinto vs Ayidin Tuncay and Victor Pinto vs Brice Delval. As well, Morgan Adrar vs PTT Petchrunrueng. Mohamed Souane vs Payak Samuk starts the event. This year Thai Fight promotes two shows in Europe so far. Lastly, the organization makes its debut in Italy. Turin accommodates the gala on May 27.